The sun is out and the days of warm weather, blue skies and green grass are here again after a long cold winter, so it's time to plan our outdoor winery picnic, to enjoy the early days of spring. 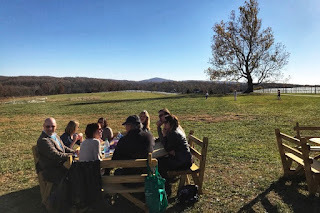 We have chosen a winery known for its scenic view, lovely farm grounds and a beautiful restored historic barn located in Loudoun County, Virginia for our early spring picnic. 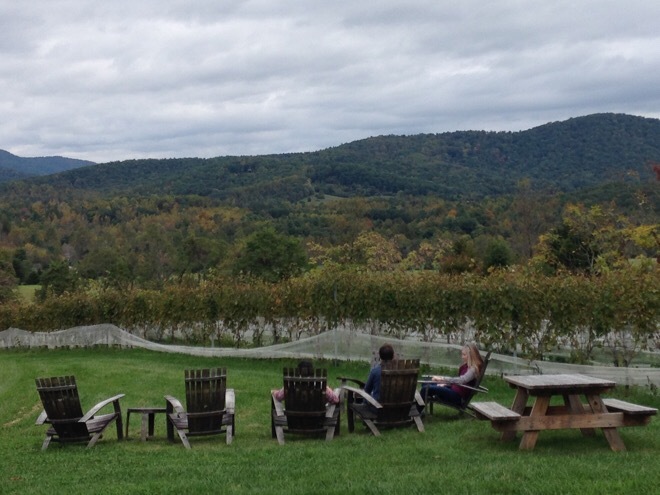 Our selected winery in Loudoun County is known for its scenic mountain views, old-world style farm grounds, and a stunning Amish restored historic barn. At Sunset Hills Vineyard, from the planting of the first vines in 1999, owners Mike and Diane Canney, had a vision of making fine wine of the highest quality in a manner which was sustainable and gentle on the land. Some of the grape varietals grown at the vineyard, including its satellite vineyards are Cabernet Sauvignon, Merlot, Sangiovese, Tannat, Petit Verdot, Cabernet Franc, Chardonnay, Traminette, Viognier and Vidal Blanc. You can do an individual wine tasting, if you like, and then choose a glass or bottle of your favorite wine while relaxing in the warmth of the outdoors, socializing with old friends and new members of our social community. You can bring your own picnic, or choose from a variety of light fares offered by the winery which include freshly baked bread, crackers, imported meats, cheeses and tapenades. The winery also offers gluten-free items. Friendly pets are welcome on the property (but not inside the tasting room) as long as they are leashed. Important messages related to the event are highlighted, so participants can catch the latest updates about the event. Please note, on the day, of the event we will post our location using the Message Board, so those arriving a little later can find the group. Description: An early spring picnic at a Virginia winery known for its beautiful view and lovely farm grounds.